Double-click the downloaded file, pdftojpg.exe, to start the installation procedure. Computer users have to be familiar with the various forms of data storage on the computer. Computer technology has become very advanced and there are many different techniques to manage large content of data in a file. Text may be incorporated in an advanced computer application. Just like text, even images and applications can be contained for sharing and exchanging over multiple systems. For storing and sharing images, one can make use of the JPG file format. This file format has been designed to compress the size of the image and transferring it over systems with varying configurations. Another popular file format for the storage of images is the PDF format or the Portable Document Format. The PDF file format is popularly used by computer users for storing and exchanging image and graphically enhanced data. 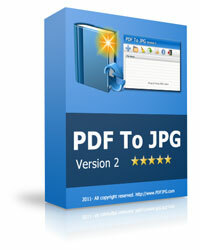 A PDF file may be converted into the JPG format with the help of a PDF converter. The PDF file format can be converted to JPG, TIF, BMP, GIF, PNG file formats. Download the PDF to JPG Now.